If you want to implement sqlite database application for windowsphone 8.0,you may helped from my previous article.Now from this article we will learn about 'Sqlite support in WindowsPhone Store 8.1'.This article is compared with my previous article,so that we can easily understand the changes in WP8.0 & WP8.1 to setup Sqlite environment. This sample is targeted for windowsphone store 8.1 OS,So make sure you’ve downloaded and installed the Windows Phone 8.1 SDK. For more information, see Get the SDK. I assumes that you’re going to test your app on the Windows Phone emulator. If you want to test your app on a phone, you have to take some additional steps. For more info, see Register your Windows Phone device for development. This post assumes you’re using Microsoft Visual Studio Express 2013 for Windows. Some extensions to be installed in order to interact with Sqlite from your WP8.1 app.And now it is very easy to setup sqlite environment in our apps.So this post covers all about sqlite with beginners level like this. Click on Download and You can directly open it while downloading, authorize installation and click install when ready. Open Solution explorer,Right click on 'References' folder of your current project. You may have already noticed, that the references show a warning symbols,to resolve that the next thing to do, before compiling the solution is changing the architecture of the target platform. This is the fact that the engine of Sqlite is written in C ++, and the default target platform set in the project is Any CPU. This mode is not supported. To do this in the main menu of VisualStudio have the command "Compile", then "Configuration Manager", as shown in the figure. In the next dialog, we note that we have several choices of platforms, Any CPU (the default), ARM, x64 and x86. We have to select the target platform second, where we are trying the application. If we use a tablet, or a phone with ARM processor, we have to select the ARM platform. If we are using the emulator or in the case of Windows Phone, a PC in the case of Windows, we have to select x86 or x64, everything depends on your processor if 32 or 64 bits. In my case, I tried the sample application on a emulator with Windows Phone OS 8.1, so I chose the way of configuration x86. Note: From this step on-wards,most of content will be same as my previous article.Please be note a few changes made in this post. listBoxobj.ItemsSource = DB_ContactList.OrderByDescending(i => i.Id).ToList();//Binding DB data to LISTBOX and Latest contact ID can Display first. Note:This content may be change in future. In this article, we have seen the basics of Sqlite, how to install the engine, the library Sqlite-net, and saw the most common operations (also known as code first), such as inserting, updating, and deleting data from a table of a database. Check in 'App.xaml.cs' page,there i declared DB_PATH static string variable. Do you an accompanying C# WP8.1 project one can download? thanks for the article sir! I want to know how can I import already existing SQLite database in my windows phone 8 application.. I really need your help sir..
sir, i need to build a chat application for windows phone 8.1 i searched alot but found nothing helped, please help its very urgent. 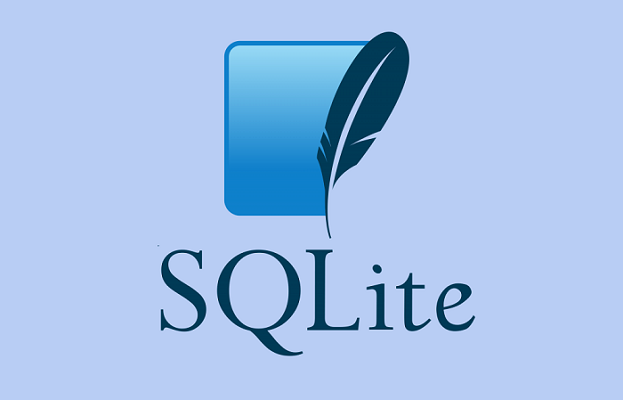 I have got my SQlite DB by follwoing you guidence - Thanks. Now When I run my app in emulator and change something in DB, the DB which I have got in the previous step(Inside IsolatedStore folder) is not being updated. Why is Both are synched(Emulator DB and DB inside IsolatedStore folder) automatically?. Even I have tried to run your commands once again when my App was running it gives me error saying that the DB is currently is used by other program. What Should I if i want to View the Data being accessed/modifed by Emulator Application. Error: Access to the path 'Shared' is denied. and giving error file not found how to solve this? Could you send me a small sample of how to do that? Can u please tell me how to manage the CRUD operations in multi threaded WP8.1 RT app as I am getting an error "DataBase is locked". I same get this error when multi access. Hi, I am new to windows phone 8 development. Kindly give an idea about the class ReadAllContactsList.cs as i didnt find one. Please let me know how can I store image in SQLite data base. I got image by using fileopenpicker and want to save image path in SQLite data base. But I'm not able to get image by that path.. Please have a look at this question. Hi, thanks for the app, it's a very good example. I have a question, two apps can access the same database? Is this posible? Thank you subbu. Its very easy to understand. I recently came accross your blog and have been reading along.I have enjoyed reading. Nice blog. Additional information: Unable to load DLL 'sqlite3': The specified module could not be found. (Exception from HRESULT: 0x8007007E). Hello Subbu .B! Very nice tutorial, congrats! Now i need something more for my Diploma Work. Can you share an example with more than one table. Аfter all searching, I noticed that many people are looking for the same. Could you help me with this please? For example one more table with 'City', so the user can add data only for 'New York' etc. Nice tutorial kindly Provide Same for windows 10 Development..thnx a ton!! Consider a scenario, where I have used SQLite in my app. I make the app LIVE on windows store. Now, users have downloaded the respective app and made updates in the CONTACT table. 1) I have released NEW update to the app. If user UPDATES the app on their phone, would it REFRESH the CONTACT table. 2) Consider there were 6 records when app was launched first time. When I updated the app, I added 2 more records which made 8 records in total. How can i insert these 2 NEW additional records? This is very helpful site for tally user. I really like your site. You write a lot of good. We at Genesis have the best expertise to provide web designing services, software testing,Internet marketing services, web designing services,data scraping and many more. It's really informative! Thanks for the great article.